You can read more about Chin Implants by following this link. 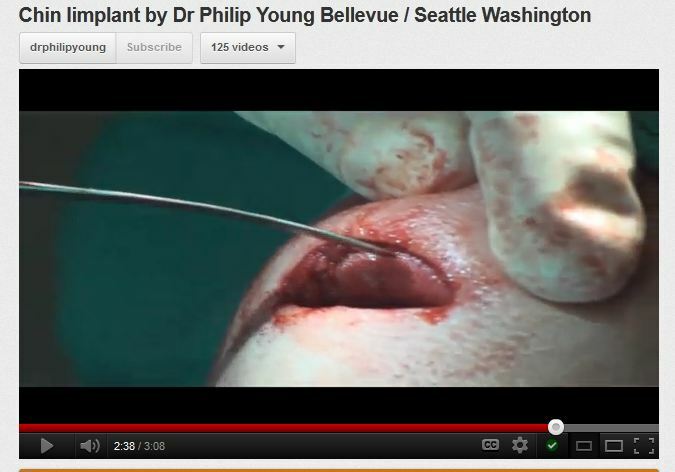 Chin implant screw fixation or suture fixation Dr. Philip Young of Bellevue: I would like I talk about the importance of screw fixation for chin implants. Screws help to keep the implant from moving. This is important to keep the augmentation stable and to more accurately predict what the final result will be. Without screw fixation your implant can move, and with that asymmetry and irregularities can happen. Also screws can keep you from getting more augmentation than you need. Fluid under the implant can create more augmentation and give you a larger chin than you want or a longer chin than you want. Screws can also keep infection from happening as well. Fluid under the implant can be nutrients to bacteria and can be a nidus for infection. 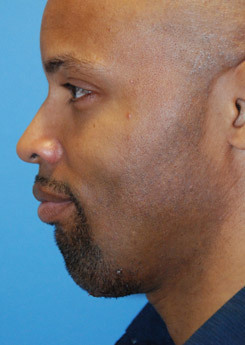 Read more about chin implants on our chin implant web page. 1) I looked at the jaw implants from the link you sent me. I saw that they had lateral implants and posterior implants. What is the difference?? And which one would you recommend for me?? Lateral implants are the ones I was discussing with you. I don’t put in posterior ones very often. I think they are more ridden with potential complications. 2) If these silicon implants are screwed in, they will not mobilize later right?? For instance, I can sleep on my side without fear of having them move right? The screws will become part of you. The titanium metal osteointegrates with your bone. On fine mag, you can see the collagen bone fibers attach to the titanium. There will be a tight pocket around your implant and they should not move. Also usually there will be bone that partially encases the implant. But, they will not be as strong as your bone but strong enough. 3) Screwing in these jaw implants will not cause my bone to have problems right? I read something about silicon implants and screws. No they shouldn’t as explained above. Sometimes you can get bone erosion. The bone that you put it against in the lateral jaw is strong bone. Alveolar bone is softer and that can have more erosion. But this is always a possibility to have erosion. Again, much less common with the stronger lateral jaw and lower part of the chin bone. 4) What would the recovery from jaw/chin implants be like?? And how long does serious swelling typically last?? I ask because I don’t really want to tell people that I’m having jaw/chin implants. However, if my face is going to be swollen for 6 months, that could be hard. The swelling typically takes around 3-4 months to fully come down. But you will have most of your results 70% at 6 weeks, and 90% at around 6 months. It is really fast the first week and month. You should look fine around 2-4 weeks but the first week you have remarkable decrease in swelling. His office is called Aesthetic Facial Plastic Surgery. This is a question that I answered for a patient that had a chin implant placed by another surgeon. She wanted it removed because after undergoing submental liposuction, her chin looked to long and round. Removing a chin implant usually requires placing a smaller chin implant to prevent balling up of your chin. Most of the time unless your chin implant is very small like 3mm, you will need to place a smaller chin implant. This is important because without something smaller, the stretched pocket / tissues / skin will contract over this empty space. The very possible potential result is a “balling up” effect which can make your chin look like a ball with a protuberance that you will not like. The healing of replacing a smaller implant usually is fairly quick with most of the swelling and bruising gone in a week. 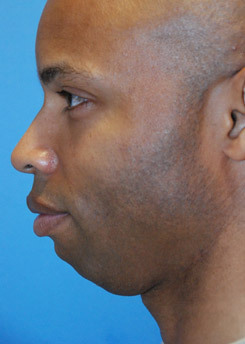 Chin and Jaw implants are a great way to shape the lower third of the face. 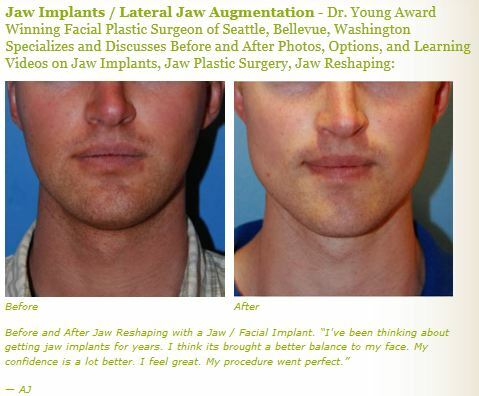 Chin and Jaw implants are a great way to shape the lower third of the face. Chin implants can shape the anterior part of your jawline and bring more balance to your face when people see your face from the front. The jaw implants on the lateral part of your jaw can widen the lower third of your face and really increase the strength and masculinity of any person’s face. Chin implants run between 2-6 thousand dollars. Jaw implant can be a little more. When you do them together, some surgeons give your a price reconsideration. You can choose from a variety of implants, different shapes and different sizes, that will fit you personally. And the surgeon can tailor them even more during the procedure. I personally like medpor implants for the long run. Once they get incorporated in the body they are much more resilient in my opinion and based on some scientific study. They get vascularized in 12 weeks and start working just like your body. Silicone implants are more common and are softer which are sometimes more appealing to people. They feel more like tissue. Posted in Chin Surgery, Jaw reshaping / Jaw Implants / Jaw Augmentation | Comments Off on Chin and Jaw implants are a great way to shape the lower third of the face. My chin is weak and my mouth seems always to be open. Can corrective surgery fix this and what about chin augmentation with implants. To get a full description you can look up my blog and there are pictures there to explain the above. If you look up my theory on facial aesthetics you can get an understanding of how your face should be proportioned. The theory is called the Circles of Prominence. Posted in Chin Surgery | Comments Off on My chin is weak and my mouth seems always to be open. Can corrective surgery fix this and what about chin augmentation with implants.